Affiliating University Veer Bahadur Singh Purvanchal University, Jaunpur, U.P. India. The Handia, P.G. College, Handia Allahabad, U.P. was established in 1973 by Dr. D.R. Singh, a reputed medical practioner and a visionary who brain child it is as one of the poineering institutes of higher learning with a vision of facilitating access to the students of rural and under-developed areas to higher education with the aim of providing high quality education at their doorsteps at minimal cost through optimal utilization of available resources. The college has co-education system and the motto of this institution has been, besides education, to incukate moral values among the students and live up to the expectations of good citizenship. The education faculty of the college is affiliated to V.B.S. Purvanchal University, Jaunpur (UP) and attracts students for higher education in friendly environment research supervision by experienced faculty and tradition of quality education. Presently, the Education Faculty of the college has a student, teaching staff and administrative/technical/supporting staff strength of 215-21-08, respectively. The education department runs postgraduate and Ph.D. Programmes. Besides, the faculty has Rovers Rangers programme. The affiliating V.B.S. Purvanchal University is responsible for designing the curriculum and the senior faculty members of the college are involved in such process in capacities of members and conveners of the Board of Studies of the University. There is limited flexibility in context of choice of subjects and programmes. The institution has recently started a programme of getting feed back from students. The affiliating university revises the courses usually after a few years on the basis of guidelines provided by State Govt. of U.P. UGC, NCTE. 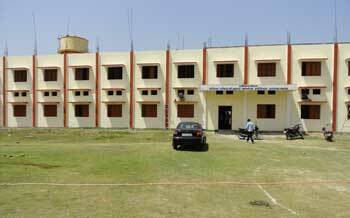 The college also has been recognized as a Study Centre of UPRTOU, Allahabad (U.P). Admission to various courses is given on merit basis through common entrance test organised by state & university in accordance with reservation policies of the state government. The students belong to rural areas and eastern area of U.P. & Other States. 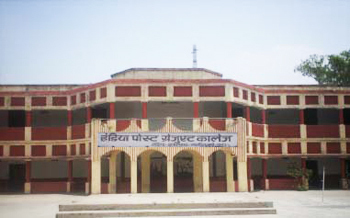 The college has a highly qualified teaching staff and some of them have been selected through H.E.C, Allahabad (U.P.) who teach the students in interactive manner and employ classroom teaching as a principal method of teaching and also use other methods like seminars, projects and projectors to improve the quality of teaching. The affiliating university does the annual evaluation. However, the college has recently started mid-term evaluation of students to help them in preparation of annual examination. The college teachers are actively engaged in guiding research of which some research projects funded by UGC, New Delhi are also being implemented. More than 100 students awarded Ph.D. degree our of which 50 are in the last 5 years and presently 33 students are registered as Ph.D. students. There is a college level research committee, which provides necessary information pertaining to research to the teachers and the students. Two faculty members received the prestigious award Pt. Madan Mohan Malviya State Award and Vakovakyum National Award. The college has a total land area of 05 acres out of which the built-up area is 3527 Sq. mts. of the faculty of education has a built up area over 2880.67 Sq. mts. There are two multipurpose halls, 10 lecture theaters/lecture rooms, well equipped laboratories, computer lab, girls hostels, auditorium, playgrounds, courts, multipurpose gym etc. There is a central library having a collection of books and journals. Lecture method is the most commonly practiced method of imparting knowledge however, overhead slide/LCD projectors, audio-visual devices, charts and models are also used as teaching aids. The college publishes information brochure with the application form which gives complete information about the college in a nutshell. The progression rate of students from UG to PG is satisfactory. The college has good facility for indoor and outdoor games. The Teachers Training Faculty also publishes its own annual magazine “Nava Jyatishmati” to instill the innovative behaviour in faculty, staff and students. The Principal of the college Teacher's Training Faculty represents the executive authority responsible for smooth functioning of all activities in the college and ensures effective and efficient transaction of all the teaching, learning and extra-curricular activities. He forms several committees constituted by senior faculty members to look into specific maters to help him in seeking definite solutions of the problems if any. The college follows a preferential admission policy in admission to increase the access of students of weaker sections of the society. Several committees and students association/representatives are involved in welfare of students by sharing their opinions. Located in a rural area and catering to the needs of students belonging to different section of society already the college and the Teachers Training Faculty has earned an esteemed reputation and is making notable contribution in the development of people and society and plans to initiate new courses and options to the students suitable for the needs of emerging trends of employment in national as well as global markets. Copyright © Handia P.G. College, All Rights Reserved.